Description of book: The current financial meltdown wouldn’t have happened if the average consumer had known more. This book gives the mental and emotional disciplines that were missing. This book is about the importance of lifelong learning when it comes to personal money. We use money every day but new information about money and how it impacts the lives of everyday people isn’t talked about regularly or consistently until there’s a financial crisis. That’s when the topic gets everyone’s attention. 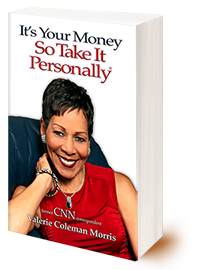 This book emphasizes the concept of It’s Your Money So Take It Personally® – the process of identifying what you want and why, when you want it, and what it takes to achieve it. Those disciplines work in good times and in bad. The goal of this book is to give readers new tools of engagement – concrete ways to re-calculate their relationship with their money – the most important of which is: before you decide what to do with your money, first know how you feel about your money. 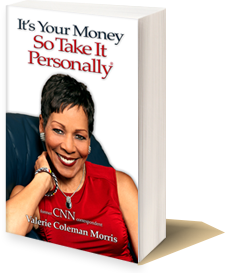 It presents a compilation of money related topics in short form that show the It’s Your Money So Take It Personally® concept through a three generation lens. The stories quickly and succinctly demonstrate that everyone – from cradle to grave – can benefit from ongoing, continuing education regarding basic money knowledge and responsibilities. It’s Your Money So Take It Personally® begins as early as the age of 3 by teaching children the difference between wants and needs – a money lesson that many adults never learned and as a consequence have made ongoing, poor money choices and suffered the consequences. 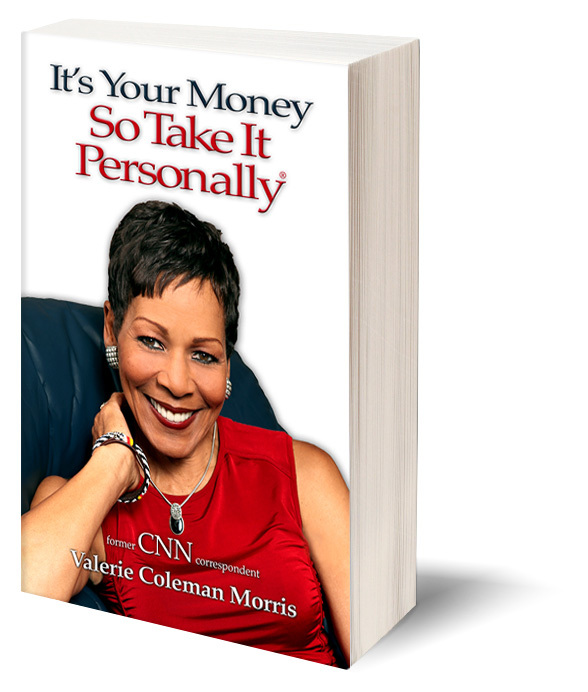 The It’s Your Money So Take It Personally® concept continues through life and encourages elders to cooperate with their Baby Boomer middle aged adult children’s need to know their parents’ financial circumstances in order to coordinate and/or cooperate in making financial ends meet. Transparency isn’t just good for big business. It’s good for families, too. I was the divorced single mother of two daughters. Even when married I was the major breadwinner and the person who attempted to manage the family needs. Divorce in a community property state certainly gets one’s attention. I could have gotten mad or gotten even. I chose the latter and by getting even – I mean getting my new money picture in balance. My credit score is my favorite number and it starts with an 8. I’ve been a world citizen my entire life thanks to my globe-trotting parents. I’m an Air Force brat. Proud of it. And loved it. I lived in England, France, Scotland and Japan by the time I was a junior in high school. Years later, in 1980 when James Cavell’s “Shogun” mini-series captivated American audiences, I anchored a newscast from NBC’s San Francisco studio to Toranaga’s castle outside Tokyo with a fellow former Air Force brat-student now fellow anchor. My first concrete money memory was at the age of 8. Every few years I visited Philly with my parents and younger brother from whatever overseas assignment my Dad had just completed. I tried to use an English shilling to buy a 25-cent soda from a vending machine in north Philadelphia. My cousins doubled over laughing and pointing at me. Early day-to-day money references for me were in pounds, shillings, francs and military paper currency called script. I wasn’t as familiar with these things called dimes, quarters and dollars. When my cousins finally regained their composure, they showed me the difference between the two coins. It was a mistake I never made again. I’ve been a financial journalist and provided people advice on an international basis in multiple markets. I’m viewed as a journalist who can communicate money concepts and ideas that people can come to understand and utilize to alter their lives. I speak to people who need to know how they’re spending their money and why they should invest it and therefore become mindful of the decisions they make. 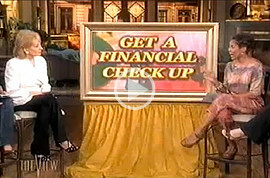 From my experience very early on having to learn money in different currencies; juggling finances as a single mother of two; managing frail parents’ financial and health responsibilities as they got older in a very complicated world; the global perspective having appeared for 12 years on CNN and seminars and keynotes to audiences of a thousand plus in Mexico, Germany, Egypt and world corporate leaders in Barcelona and Brussels – I’ve been mindful of money and the value it assigns to everything. And finally, for the past 26 years, on my CBS Network Radio column “With the Family in Mind”, I’ve had a finger on the pulse and culture of the American family as it has changed and morphed dramatically to multiple marriages, jobs, children and relocations – all of which have huge money implications that can boggle the mind. Mind over money – matters.